The most expensive ruby ever sold was an 8.62 carat pigeon's blood cushion-cut ruby set in an 18-karat gold rectangular mount. It sold at auction at Christie’s in 2006 for a reported $3.6 million. 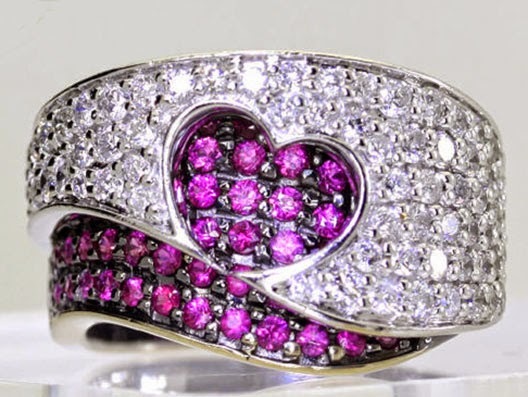 Flawless top quality rubies are more valuable and rare than top quality colorless diamonds. If you’re looking to buy rubies, either as a birthday gift for a loved one born in July, or just because you love the lovely red gemstone of the month, Adina by Empire Jewelers has a beautiful collection of estate and vintage jewelry, available at true wholesale prices. Shop online today and enjoy our vast selection of fine ruby estate and vintage jewelry, plus watches, diamonds, gold, sterling silver, coins and more. If you have any questions, please don’t hesitate to contact us.